Red Chip Poker CORE Review for 2019 - Is It Really Worth $5 a Week? 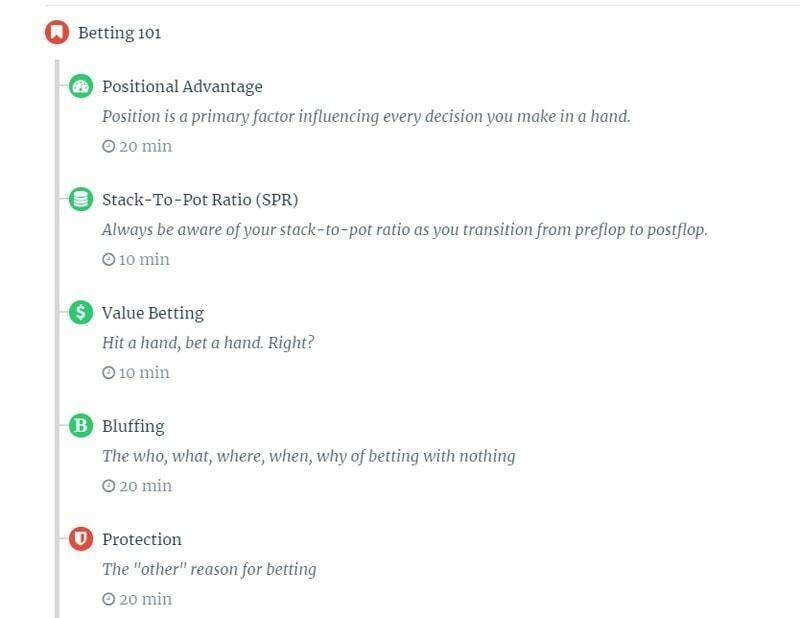 Finding a good poker course that takes your from the very basics all the way to advanced concepts is quite a challenge. Most courses you’ll find online are geared towards players who already have good foundations. 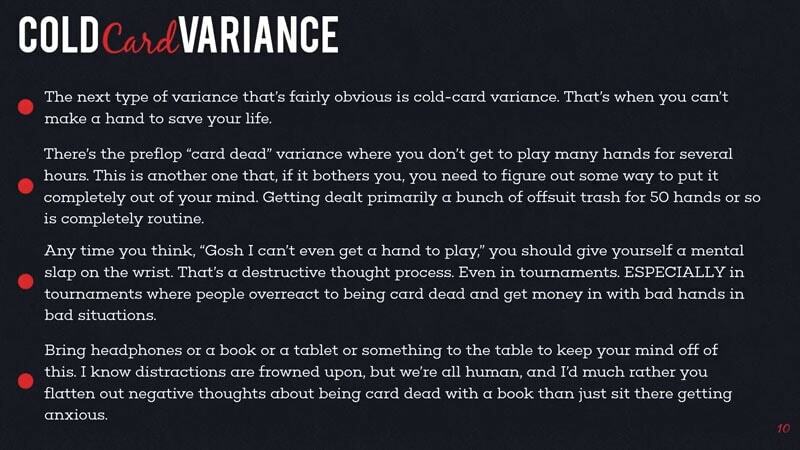 Those that aren’t are usually just very basic and only address some general concepts without ever really expanding on them. This is where the Red Chip Poker CORE program is different. It starts with fundamental ideas for those completely new to Texas Hold’em but then goes on to expand to cover more advanced strategies, creating a well-rounded and complete poker course that can turn even novices into fundamentally very solid and thinking players. 1.4 Should I Sign Up for RedChip Poker CORE? This Red Chip Poker CORE review is too short to really go into detail about the entire program consisting of three levels, each level containing several modules with hours worth of videos, audio files, text lessons, and graphs. 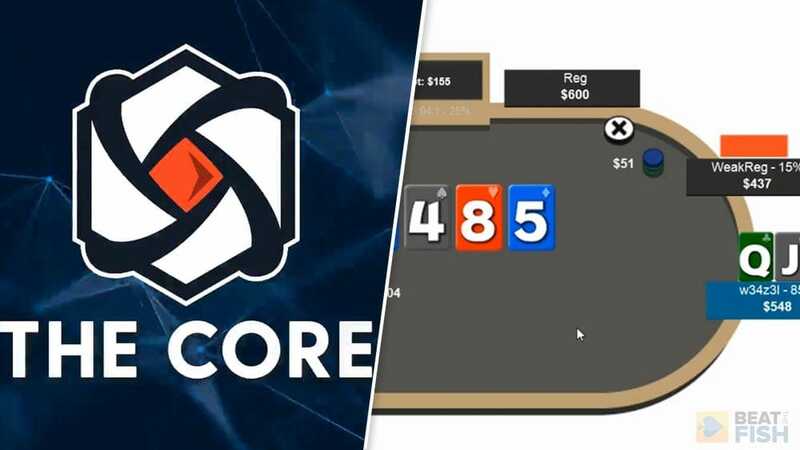 What’s important to understand about CORE, however, is that it is a full poker training product intended for players of varying skill levels, although primarily targeting those with less experience in the game. Lessons inside Red Chip Poker CORE are mostly created by James “SplitSuit” Sweeney and Adam “W34z3L” Jones, with few videos from Ed Miller as well. And, these lessons are structured in such a way as to be understandable to anyone who knows the rules of Texas Hold’em. 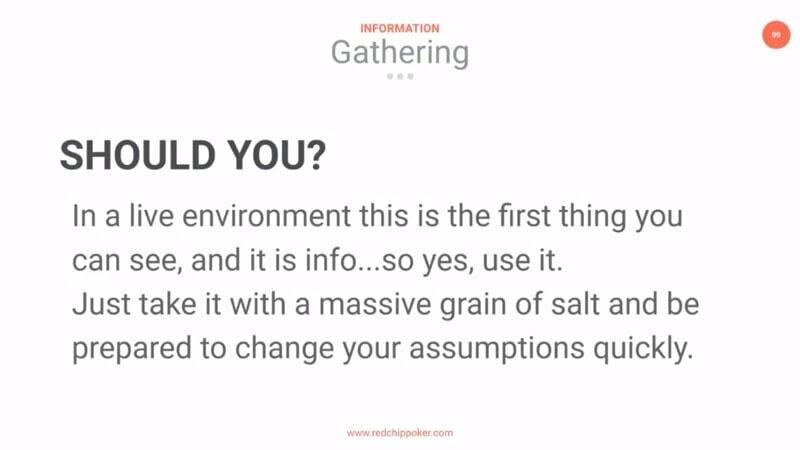 RedChipPoker coaches don’t assume people know things because “everybody knows this.” Basic math calculations and preflop hand selection may be old news for many of us who have been playing for years ,but for many new players, this information is invaluable. While a lot of the strategy can be found online in various places, the advantage to the Red Chip Poker CORE program is the fact this knowledge is offered in an organized and easily understandable manner. Red Chip Poker gives players overviews and indexes of essential poker strategy concepts before going into more details with video lessons. For anyone looking to learn poker and start seeing some immediate improvements in their game, Red Chip Poker’s CORE is a very good way to go. There are many poker training programs out there these days and most of them have their upsides and downsides. Red Chip Poker CORE starts with explaining some very important basic concepts in an easy-to-understand way. The biggest upside of CORE is its simplicity. “SplitSuit” tries to only focus on what’s important without going into too much unnecessary details or formulas. While this information can certainly be helpful, for someone just looking to get started, too much complicated information can do more bad than good. The Red Chip Poker program starts with very fundamental concepts of Texas Hold’em, explaining how to calculate your odds and outs, figure out your pot odds, and how to understand ideas behind possible hand combinations, blockers, etc. 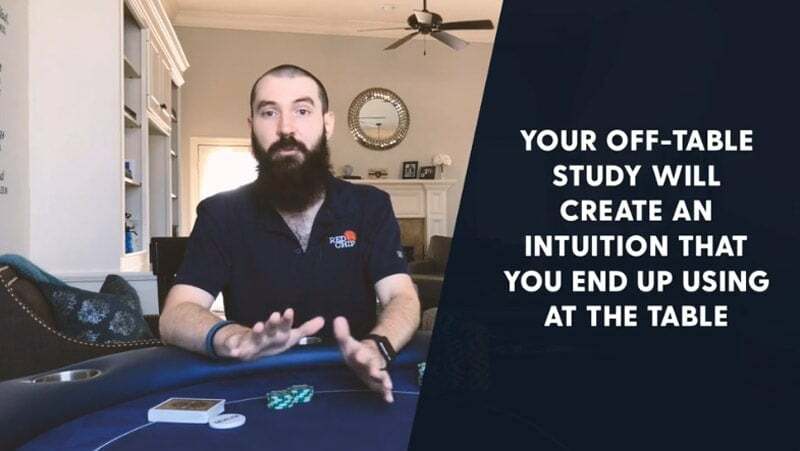 It also explains how to pick and choose your hands before the flop according to their strength and your position at the table. 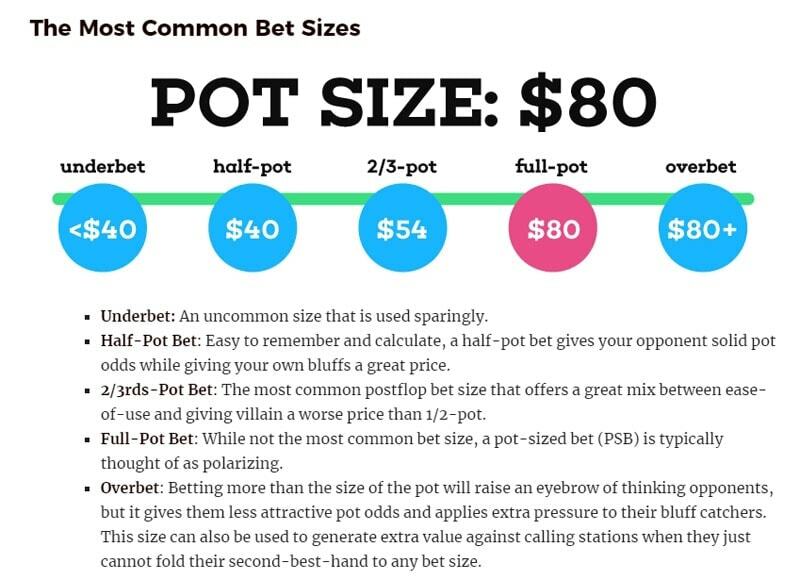 The amount of content included in the Red Chip Poker CORE section is pretty staggering, with this being just one part of a single strategy lesson. 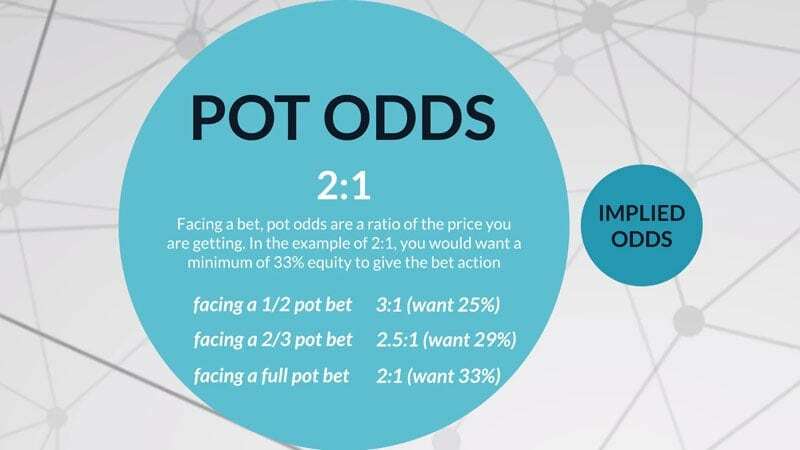 After explaining these concepts in detail, CORE moves on to some more advanced ideas of value betting, bet sizing, frequencies, etc. So, it slowly builds up from the ground level adding more useful insights with each new module. These are just the categories for level 1, which Red Chip Poker fills with several sub-courses. As mentioned, the program is way too extensive to be fully described in a single article. However, in this Red Chip Poker review, we’ll try to give you a solid overview of what to expect if you decide to sign up. 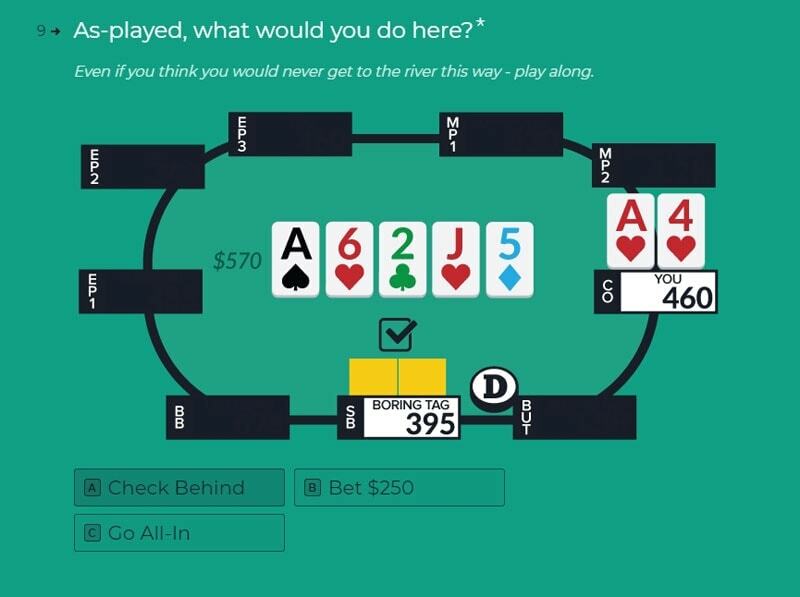 A majority of modules in the Red Chip Poker program contain coaching videos with slides and hand examples, strategy articles, as well as graphs and infographics to make it easier for the players to memorize what’s being discussed. 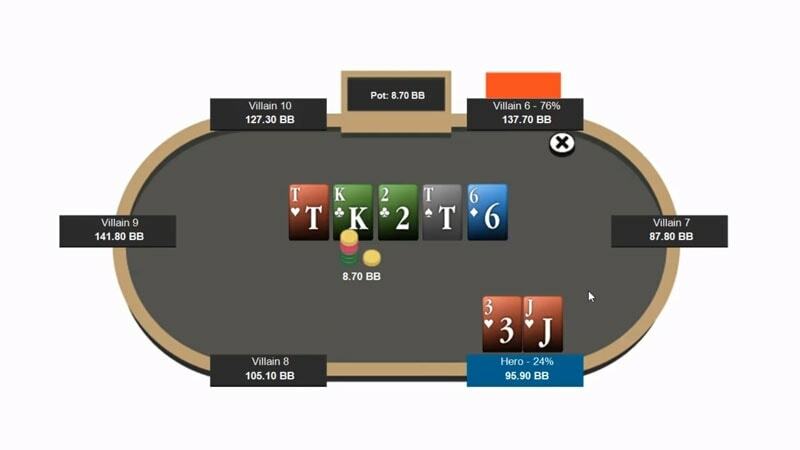 Red Chip Poker includes dozens of strategy videos in the CORE section, with several of them dedicated to breaking down specific example hands. Another great thing about the CORE program that needs to be emphasized is the fact it isn’t geared towards just online players. Plenty of advice is there exclusively for live players and that’s really good to see. Some people prefer playing live poker and seeing how most coaching programs focuses on online could deter them. Red Chip Poker acknowledges there are those interested in improving their live play and offers advice useful for both groups. Red Chip Poker doesn’t gear CORE toward online players only; a lot of advice is there for live players as well, which gives the whole program a very good balance. Finally, although it’s been envisioned as a training program for beginners, CORE contains a lot of information that many experienced players could definitely find very useful, even if it is just to remind themselves of some things and perhaps fix some leaks that might have gone undetected. Should I Sign Up for RedChip Poker CORE? 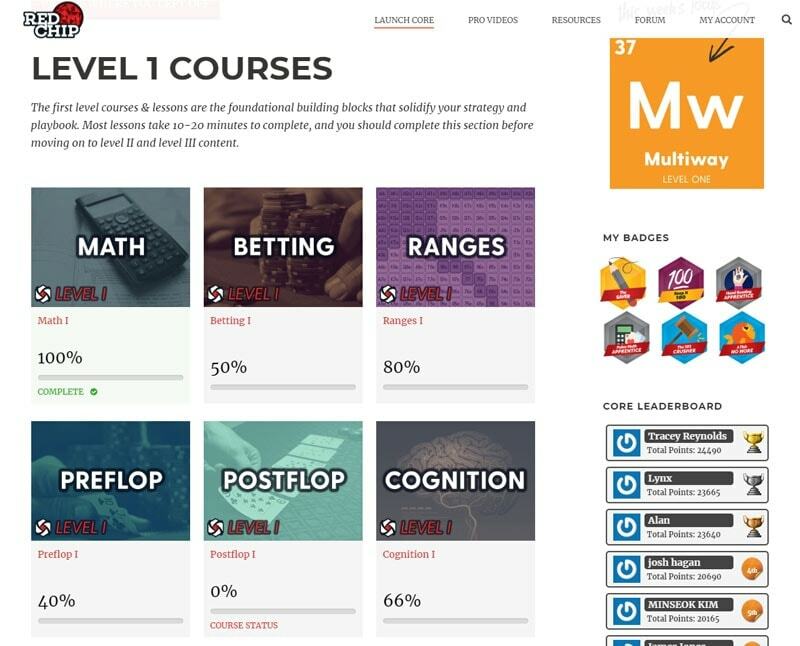 If you’re looking for a straightforward and up-to-the-point poker training program, than Red Chip Poker CORE is definitely well worth the money. All the courses are provided by people with a proven track record in the industry and the amount of information contained in them will easily pay back your investment of $5 a week many times over in the next few sessions. Although there’s a lot of technical strategy, I appreciate that Red Chip Poker takes breaks to go into the psychological human strategy element. Although the price of the course is already fairly low, you can get in even cheaper if you find a good Red Chip Poker Coupon. There aren’t any offered at the moment (that I know of), but these coupons are offered on occasion and they can get you a nice discount. Finding a good poker strategy training program for beginners isn’t as easy as it may seem, especially if you’re looking for a package deal where you’ll be able to immediately move on from the fundamental concepts and start applying them in combination with some higher level stuff. This is exactly what Red Chip Poker CORE program offers. Red Chip Poker takes players by a hand and guides them through the different levels to bring them to a point where they’ll become solid. For the price, Red Chip Poker CORE certainly offers great value, as I believe it can take a novice player and turn them into solid winners in low-to-mid-stakes games. This isn’t a course that promises to turn you into a poker beast in seven days or anything ridiculous like that. The Red Chip Poker coaches behind CORE don’t make any ludicrous promises. They simply offer to turn anyone willing to learn into a very solid player with excellent fundamentals for further growth, and they deliver on this promise. The wealth of information contained in Red Chip Poker’s CORE course can definitely turn almost anyone into a decent winner in lower and mid-stakes tournaments and cash games because this information will already put you miles ahead of your competition.